Carotenoids and flavonoids from vegetable blend Vitamin E - Proprietary blend added - Fight the signs of ageing at a cellular level. Omega-3 fatty acids from fish oil L-carnitine Antioxidants - Proprietary blend added - Promote vitality and brain health. Fuel everyday energy & social interaction. Target urinary pH - Less acidic: pH 6.4–6.6 Supports urinary tract health. Magnesium Phosphorus Calcium - Controlled - Help maintain healthy kidneys. 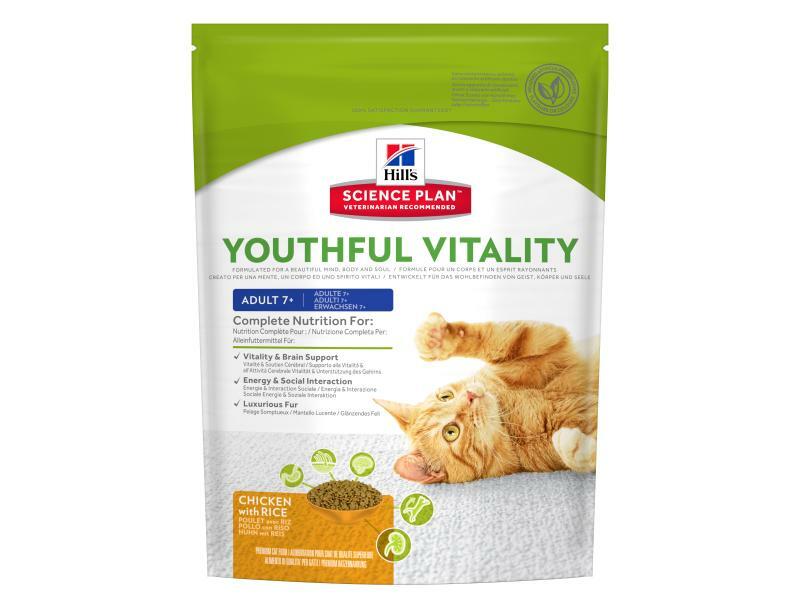 Omega-6 fatty acids - Added - Promote radiant and luxurious coat. 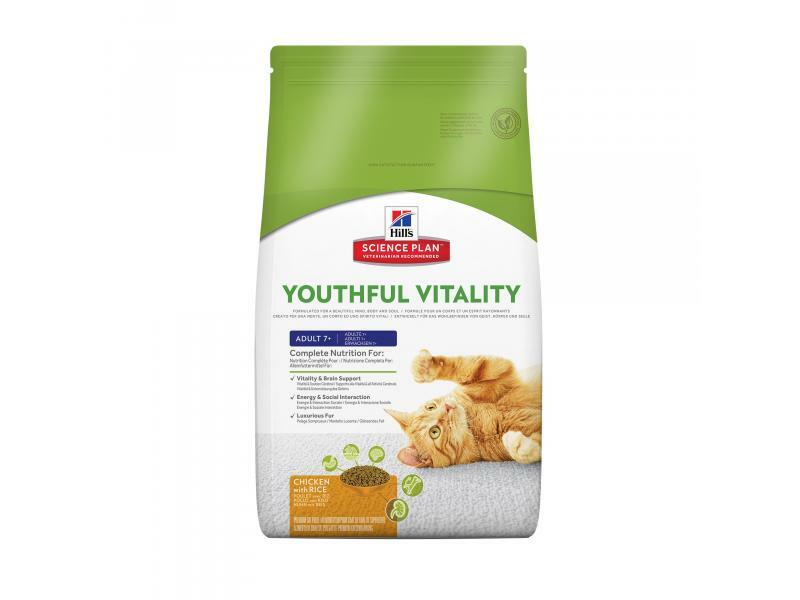 Fibre from beet pulp – Added - Supports healthy digestion. Chicken with Rice: Chicken (27%) and turkey meal, wheat, maize gluten meal, brewers’ rice (6%), maize, animal fat, digest, soybean oil, dried beet pulp, minerals, dried tomato pomace, fish oil, taurine, vitamins, dried broccoli, trace elements, and beta-carotene. With a natural antioxidant (mixed tocopherols). 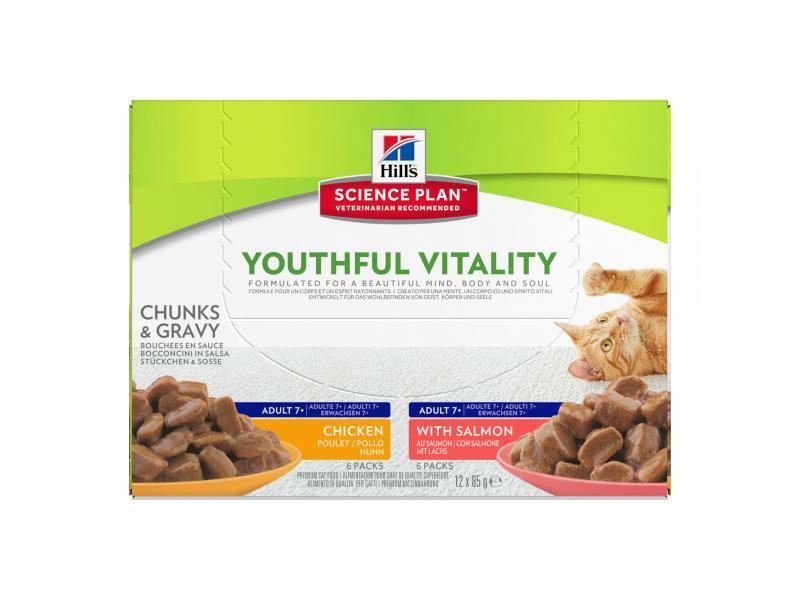 There are currently no questions for Hill's Science Plan™ Feline Mature Adult 7+ Youthful Vitality Food - be the first to ask one!